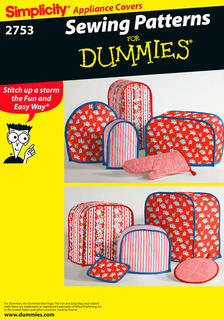 New Zealand's leading supplier of Simplicity's Learn to Sew range of sewing patterns - great for beginners! Learn to work with knit fabric while making these easy to wear tops featuring hi-lo hemline with or without contrast bands. 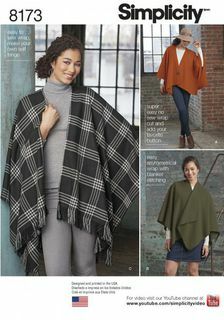 Simplicity Learn to Sew Pattern Collection has easy sewing directions, perfect for beginners. Misses' tank top with back interest. Sleeveless tops with scoop neckline and a-line fit. View A with open square at the shoulders or view b with cross over back. 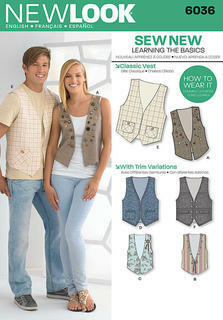 Learn to Sew pattern collection. 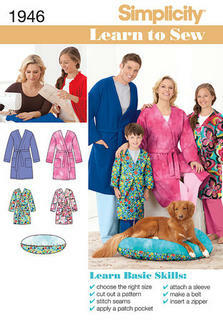 Simplicity's Learn to Sew collection. Child's and girls' lounge dress top has elasticized neck, long or short raglan sleeves and trim variations, A, B and D have empire waist detail. Pull on pants have elastic waist. Child's & girls' vests in two styles with trim variations and skirt. 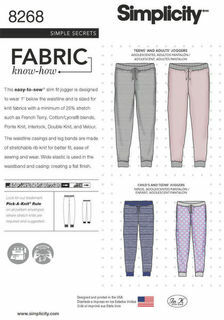 Learn to Sew Pattern Collection by Simplicity. Learn to Sew with assorted patchwork quilting bags sewing pattern. Learn to Sew misses' dresses or tunic and belt with sleeve length and trim variations sewing pattern. Out Of Print Child's/girls' skirts sewing pattern. 1 Piece super easy-to-sew pull on pants for children, teens and adults are great for beginners learning how to sew, or just for a quick and easy project to sew for the whole family. Simplicity sewing pattern. Kimono style jackets for miss in a variety of lengths and trim options: fringe, lace, ruffles or flounces. Use contrasting fabrics or by the yard trims to get the look you love. Misses' easy to sew dirndl skirts with grown on waistband are the perfect feminine pieces to add to your wardrobe. Skirt in three lengths; midi with optional galoon edge lace overlay, just below or just above the knee. Make in a kitschy print for a truly unique look. Skirt also features pockets and invisible side zipper. 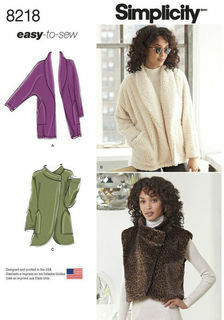 Misses' Easy-to-Sew Jackets and Vest Misses' Easy-to-Sew jackets with large patch pockets can be made mid-thigh length or just below the hip with shawl collar, and mid-thigh with round hemline, asymmetric closure, and blanket stitching. Pattern also includes asymmetric fur vest. Misses' Top in Two Lengths with Back Interest Easy-to-Sew versatile cross-back tops are great for everyday or special occasions when made in lace or other specialty fabrics. Top can be made in 2 lengths, with cap or 3/4 sleeves. View D has trim detail at sleeve and neckline. We used 5/8" mini pom trim. Designs by Karen Z for Simplicity.